Thanksgiving has come and gone, the cold weather continues to descend upon us, and most of us are anxiously awaiting the Christmas holiday. We all know the winter months in the north woods can be brutally cold some years. It seems the older I get, the longer the winter seasons last, as I don’t particularly enjoy spending a whole lot of time outdoors when it is cold. I do, however, realize the benefits of getting outdoors and getting some exercise, despite the cold weather. I do always feel better after spending some time in the fresh air.  Whether it’s just a 15 minute walk in my neighborhood or grabbing the snowshoes and going for a walk on the Chippewa River or through Lake Wissota State Park, I never feel as if I have wasted my time when I return to the warm, cozy bed and breakfast. So, if you feel the need to take a little break this winter and want to get away for a few days, we hope you’ll consider Chippewa Falls. Winter in the Chippewa Valley is breathtakingly beautiful, with the snow covered rolling hills, the vast white expanse of frozen Lake Wissota, and the serenity of the meandering Chippewa River. There are plenty of outdoor activities for you partake in some adventure and help keep those winter doldrums at bay. My husband prefers to go ice-fishing. I have often stated he loved fishing long before he ever met me. I’ll admit, I don’t understand the allure of sitting in an ice shack waiting for a fish to bite your lure. But, he has all the gear for it and really enjoys his time on the ice. As far as ice fishing goes, the main portion of Lake Wissota doesn’t get much activity, only when there has been plenty of sub-zero temperatures and we have several feet of ice on the lake do we see ice fisherman out there. This is due to the fact there is no open public access to the main lake during the winter months. The majority of ice fishing takes place on Little Lake Wissota and Moon bay. Chippewa County has several access points on both Little Lake Wissota and Moon Bay at no charge. Lake Wissota State Park also has access to Moon Bay. There are also plenty of smaller lakes in the area that offer great fishing. The Chippewa Falls and Eau Claire areas have lots of opportunities for snowshoeing. Lake Wissota State Park has approximately 10 miles of open snowshoe trails and 8 miles of cross-country ski trails. 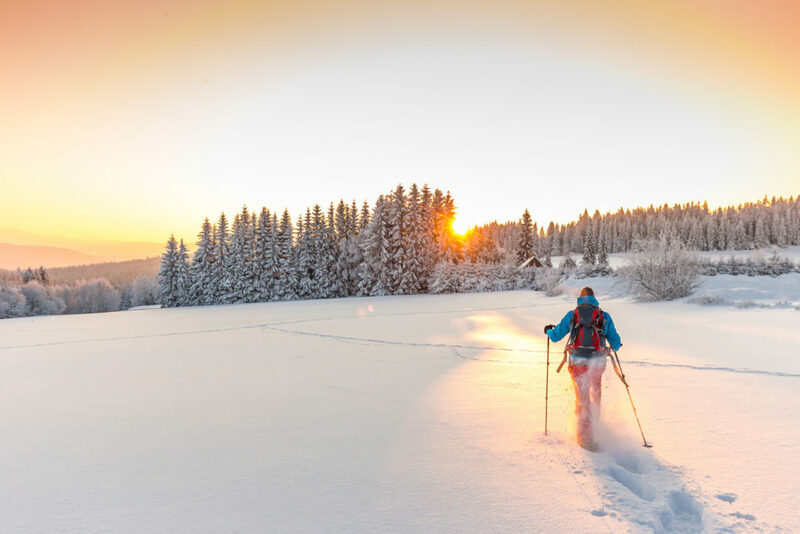 On January 19, 2019 be sure to come out to Lake Wissota State Park to ski, hike or snowshoe on beautiful candlelit trails. Campfires will be provided, but please bring your own provisions for hot dogs or s’more’s. Hot chocolate and hot cider will be available. The Chippewa Morraine State Recreation Area doesn’t groom their trails, but they are open for snowshoeing and cross-country skiing. They have 3 self guided trails that start at the Interpretive Center and take you past a variety of glacial features. Tower Ridge in Eau Claire may seem challenging at first, but don’t let the mounds of snow keep you from exercising; Tower Ridge is a great place to enjoy the snow and workout, offering cross-country and snowshoe trails. There are hilly and flat groomed trails for all levels. There are about 3 kilometers of lighted trails and a warming shelter that allows for night outings, a nice precursor to a warm fire. If you don’t own a pair of snowshoes and would like to try out the sport before you make the investment, Lake Wissota State Park & Spring Street Sports in Chippewa Falls both rent snow shoes. Well let’s face it, the snowmobilers are certainly at the mercy of Mother Nature when it comes to enjoying their sport, especially here in the north woods. In the past 4 winters that Roger & I have owned Inn on Lake Wissota we have had snowmobilers stay with us only one weekend. There just hasn’t been enough snow over that time period for the trails to be open. But, when the trails are open, Chippewa County offers snowmobile enthusiasts over 500 miles of snowmobile trails to ride on. The variety of landscapes that the trails cover is what makes them so fun and exciting. While riding our trails check out the glacial formations, rolling hills, and the beautiful wooded forests. 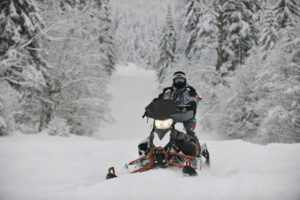 This trail system travels through Chippewa County and connects with many other county trails with the opportunity to travel by snowmobile statewide. The Chippewa Valley Snowmobile Organization maintain and groom the trail system and keep the trails in excellent riding condition during the snowmobile season. No matter what kind of winter sports you enjoy – or if even if you prefer to just curl up by the fireplace with a good book, we hope to greet you soon as one of our guests.